AM-5.1.1.war The distribution .war file includes the core server code with an embedded DS server, which stores configuration data and simplifies deployments. The distribution includes an administrative graphical user interface (GUI) Web console. During installation, the .war file accesses properties to obtain the fully qualified domain name, port, context path, and the location of the configuration folder. These properties can be obtained from the boot.json file in the AM installation directory, from environment variables, or from a combination of the two. This file is also available to download individually. ClientSDK-13.5.0-1.jar AM provides a client SDK for developers to code extensions for their web applications to access AM's services. The client SDK contains the Java packages, classes, property files, and sample code to help you develop your code. ExampleClientSDK-CLI-13.5.0-1.zip AM provides client SDK examples to help you run them on AM. The zip distribution file contains setup scripts and samples that you can run to learn how to use the client SDK. ExampleClientSDK-WAR-13.5.0-1.war The example client SDK also comes in a .war file, which installs on your container. Fedlet-5.1.1.zip AM provides an AM Fedlet, a light-weight SAML v2.0 service provider. The Fedlet lets you set up a federated deployment without the need of a fully-featured service provider. IDPDiscovery-5.1.1.war AM provides an IdP Discovery Profile (SAMLv2 binding profile) for its IdP Discovery service. The profile keeps track of the identity providers for each user. AM-Soap-STS-Server-5.1.1.war AM provides a SOAP-based security token service (STS) server that issues tokens based on the WS-Security protocol[a]. SSOAdminTools-5.1.1.zip AM provides an ssoadm command-line tool that allows administrators to configure and maintain AM as well as create their own configuration scripts. The zip distribution file contains binaries, properties file, script templates, and setup scripts for UNIX and windows servers. This file is identical to the AM-SSOAdminTools-5.1.1.zip file, available to download individually. SSOConfiguratorTools-5.1.1.zip AM provides configuration and upgrade tools for installing and maintaining your server. The zip distribution file contains libraries, legal notices, and supported binaries for these configuration tools. Also, you can view example configuration and upgrade properties files that can be used as a template for your deployments. This file is identical to the AM-SSOConfiguratorTools-5.1.1.zip file, available to download individually. The ForgeRock BackStage website hosts downloadable versions of AM, including a .zip file with all of the AM components, the .war file, AM tools, the configurator, policy agents, and documentation. Verify that you review the Software License and Subscription Agreement presented before you download AM files. Which type of clients will be supported? The type of client determines the components required for the deployment. For example, applications supported in a Web server require the use of a Web policy agent. Applications deployed in Java EE containers require the use of a Java EE policy agent. 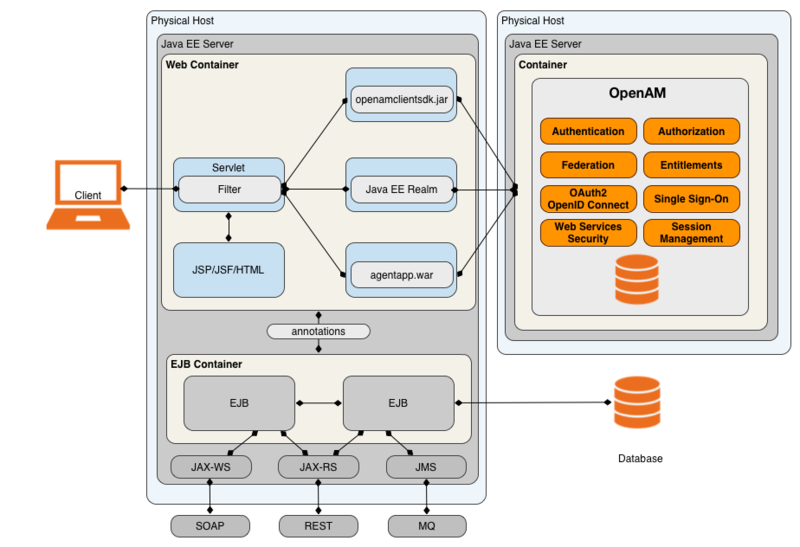 An AJAX application can use AM's RESTful API. Legacy or custom applications can use the ForgeRock Identity Gateway. 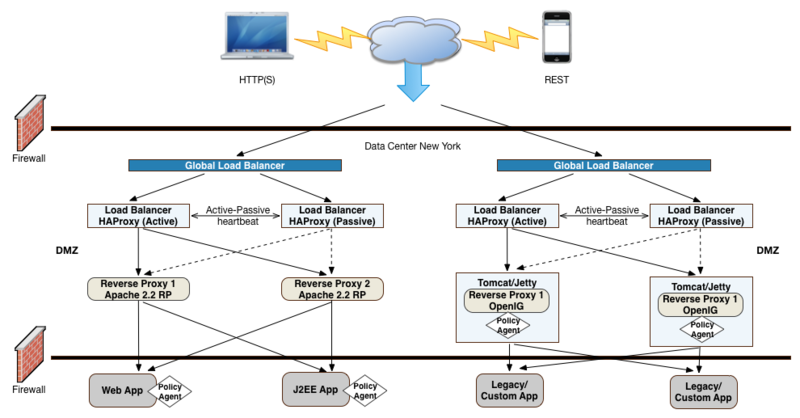 Applications in an unsupported application server can use a reverse proxy with a policy agent. Third party applications can use federation or a fedlet, or an OpenID Connect or an OAuth 2.0 component. 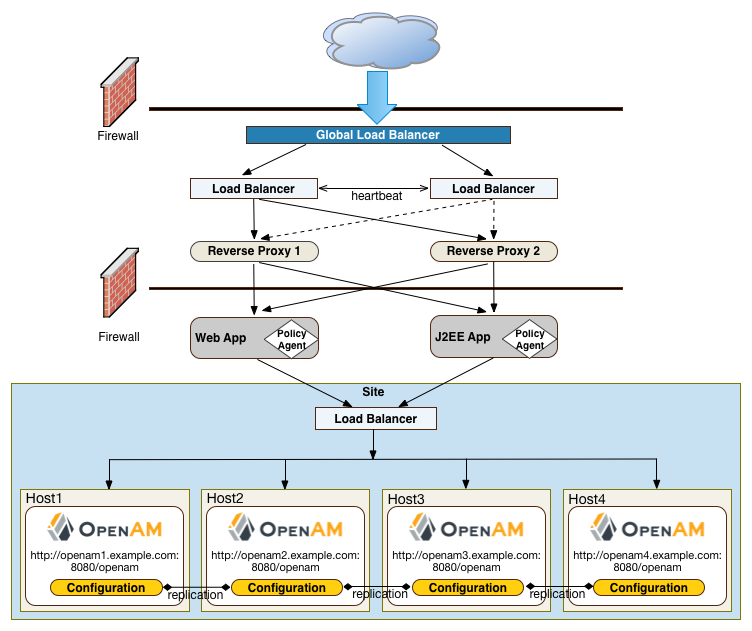 Determine if AM will be deployed behind a load balancer with SSL offloading. If this is the case, you must ensure that the load balancer rewrites the protocol during redirection. If you have a policy agent behind a load balancer with SSL offloading, ensure that you set the policy agent's override request URL properties. An AM policy agent administrative account exists and has a default user name, UrlAccessAgent. AM policy agents reside with the applications they protect. 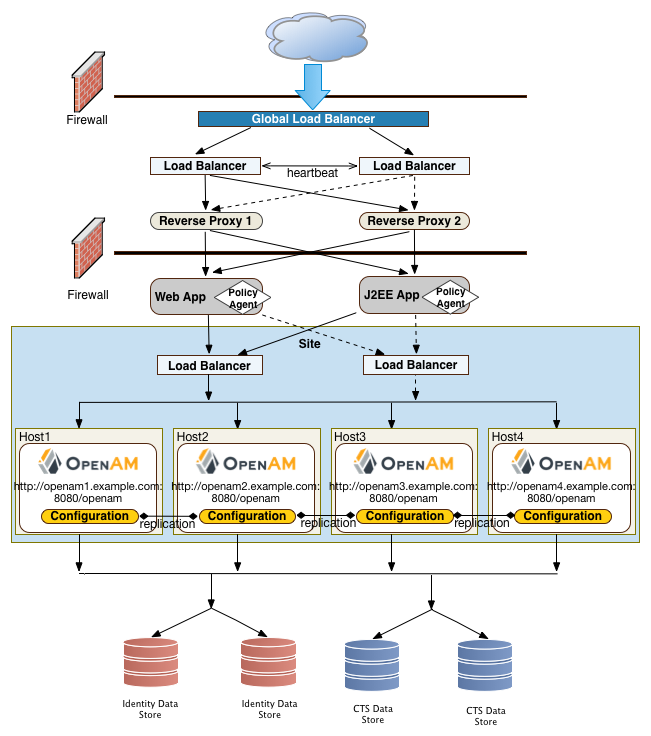 By default, AM policy agents store their configuration profiles in AM. AM then sends policy agents notifications when their configurations change. Policy agents authenticate to AM with a user name and password. To delegate administration of multiple policy agents, AM lets you create a group profile for each realm to register the policy agent profiles. While the AM administration manages policy agent configuration, application administrators are often the ones who install policy agents. You must coordinate installation and upgrades with them. AM and policy agents can log audit information to flat files or alternatively, to a relational database. Log volumes depend on usage and on logging levels. By default, AM generates both access and error messages for each service, providing the raw material for auditing the deployment. The Reference covers what you can expect to find in log messages. As ForgeRock already tests AM and policy agents functionally, focus your functional testing on customizations and service-level functions. For each key service, devise automated functional tests. Automated tests make it easier to integrate new deliveries to take advantage of recent bug fixes and to check that fixes and new features do not cause regressions. As part of the overall plan, include not only tasks to develop and maintain your functional tests, but also to provision and to maintain a test environment in which you run the functional tests before you significantly change anything in your deployment. For example, run functional tests whenever you upgrade AM, AM policy agents, or any custom components, and analyze the output to understand the effect on your deployment. "Frontend Load Balancers and Reverse Proxies with Agent" shows a simple topology diagram of your Web tier with agents deployed on your reverse proxies. The dotted policy agents indicate that they can be optionally deployed in your network depending on your configuration, container type, and application. 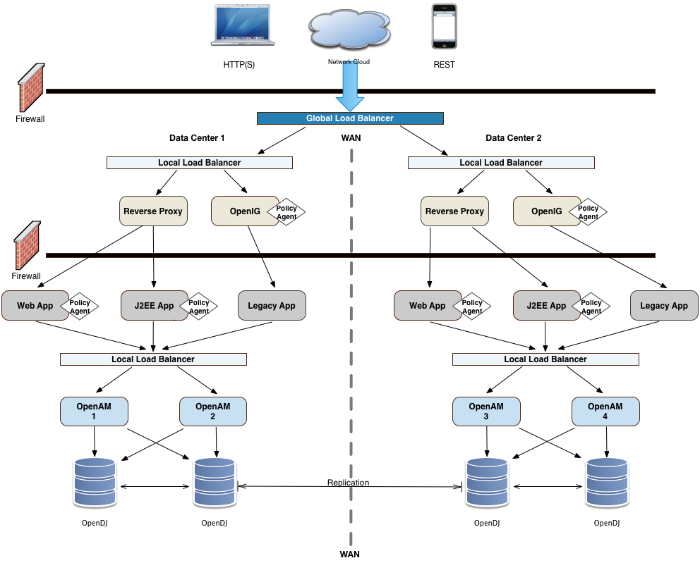 ForgeRock's application gateway product, Identity Gateway is a versatile, Java EE servlet-based reverse proxy server. 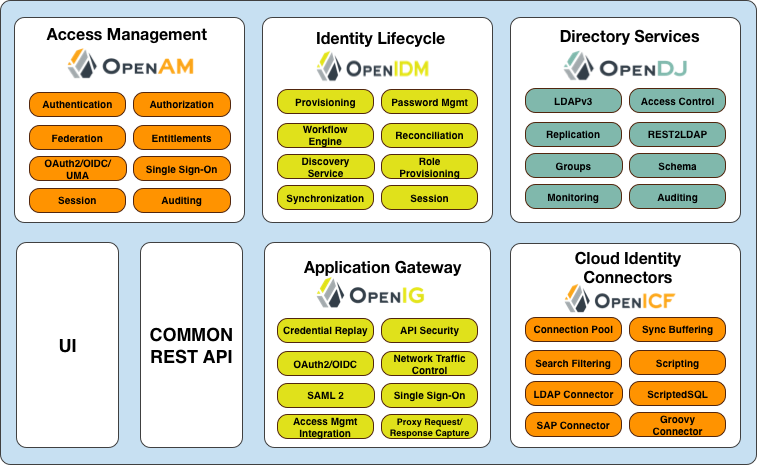 IG allows you to integrate your applications into existing networks using current standards, such as SAML 2.0 federation, OAuth 2.0 and OpenID Connect 1.0, custom or legacy applications, or other vendor solutions without altering native applications. With IG, you can extend AM's authentication and authorization (policy) services to provide SSO across your mobile, social, partner, and Web applications. You can deploy IG on Tomcat or Jetty servers, allowing it to intercept the HTTP requests and carry out filtering operations on each request, and then log the user directly into the application. In such cases, you can deploy a policy agent for authorization purposes on the request. 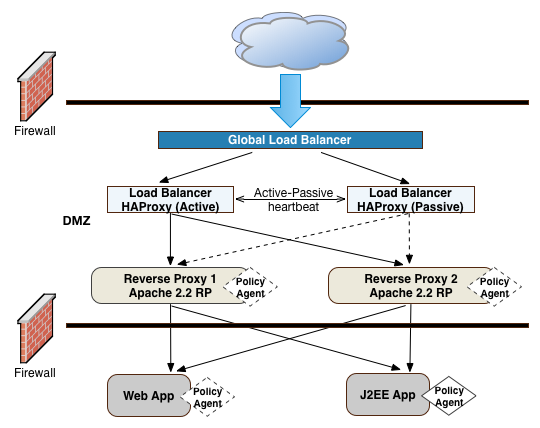 However, in the example deployment, you may not need to deploy a policy agent as IG functions strictly as a reverse proxy in the DMZ. The inclusion of the policy agent in the illustration only indicates that you can deploy a policy agent with IG when deployed on a Web container or app server. The application tier is where the protected resources reside on Web containers, application servers, or legacy servers. The policy agents intercept all access requests to the protected resources on the Web or app server and grants access to the user based on policy decisions made on the AM servers. For a list of supported Web application containers, see "Web Application Container Requirements" in the Release Notes. When the client sends an access request to a resource, the policy agent redirects the client to an authentication login page. Upon successful authentication, the policy agent forwards the request via the load balancer to one of the AM servers. Policy agents are components that are installed on Web containers or application servers to protect the resources deployed there. Policy agents function as a type of gatekeeper to ensure clients are authenticated and authorized to access the resource as well as enforce SSO with registered devices. AM provides two main policy agents: Web Policy Agent (WPA) and J2EE Policy Agent. The Web Policy Agent is a native plugin to a Web server and is distributed as a zip file. Web policy agents filter requests for Web server resources without any changes to the resources. The J2EE Policy Agent is set up as a servlet filter within the application server. Protected Java EE application configurations must be changed to filter requests through the Java EE policy agent. Disable Policy Evaluation. Policy agents act as a policy enforcement point (PEP) during the authorization phase for a client application. This feature is typically used when the policy agent is only used for SSO and does not require a policy evaluation request to AM. URL Correction. 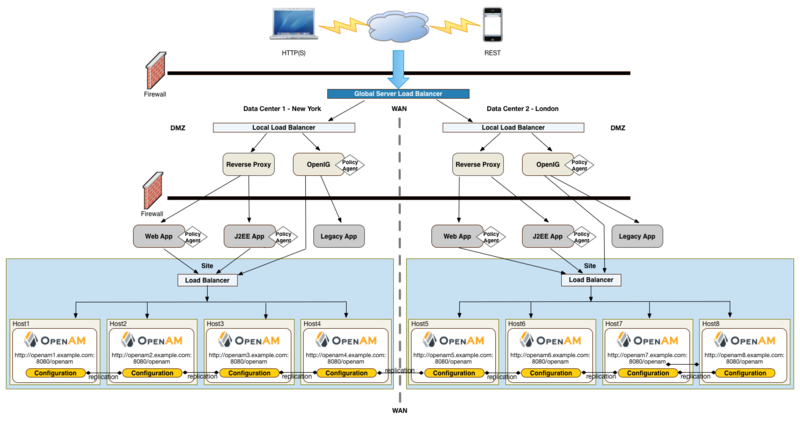 AM is aware of the access management network and its registered clients, implementing a fully qualified domain name (FQDN) mapper that can be configured to correct invalid URLs. It also holds a list of invalid URLs and compares them to the URL the policy agent is attempting to access. Notifications. Both agents have the ability to receive configuration notifications from AM. 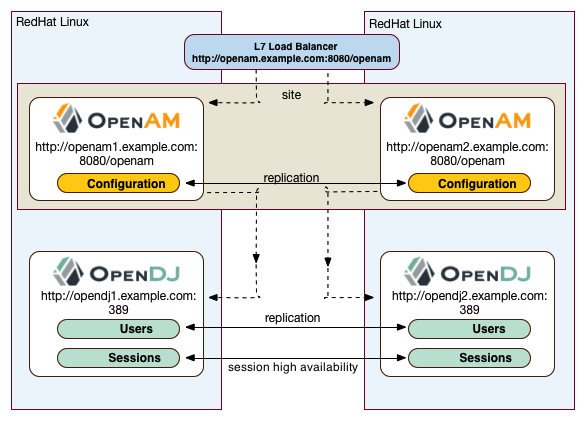 In deployments with stateful sessions, both agents can receive session notifications from AM. Web Policy Agents are supported on different architectures, although not all Web server types and architecture combinations are supported. You can view the list of supported Web policy agents in the AM Web Policy Agent documentation. The J2EE policy agent is made up of a servlet filter and a J2EE realm. The servlet filter manages authentication and URL-based authorization to the protected application and implements SSO. The filter must be integrated into the application using the application's Web deployment descriptor. 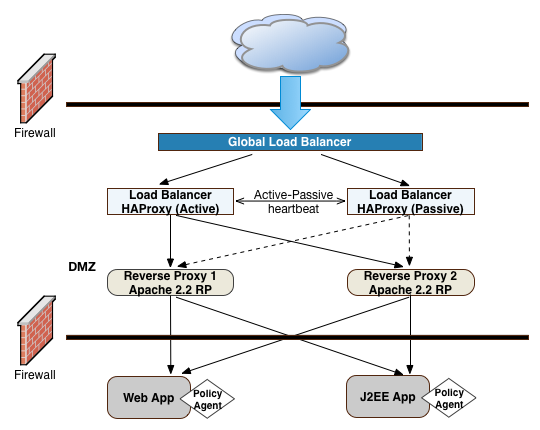 The J2EE realm is configured into the security settings of the application server and maps J2EE roles to AM users and groups. 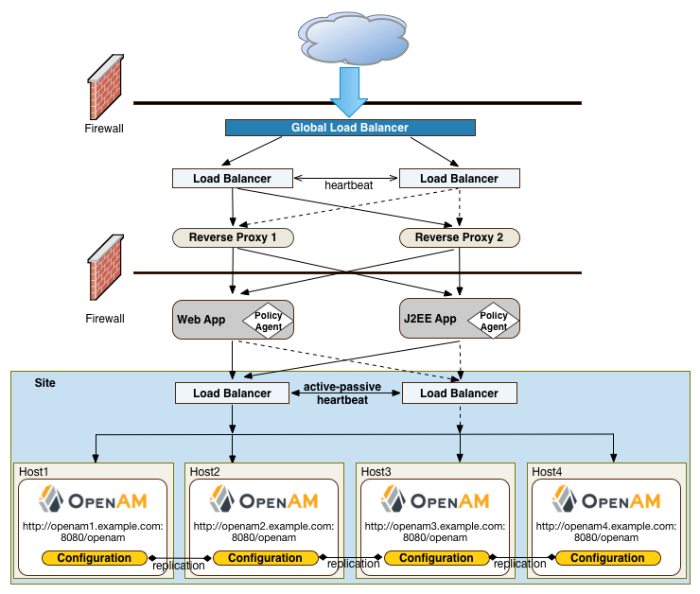 AM provides a variety of J2EE policy agents for application servers. You can view the list of supported Java EE policy agents in the AM Java EE Policy Agent documentation. The firewalls can be a hardware or software solution or a combination firewall-router can be implemented in the deployment. The local load balancers are implemented using HAProxy servers in an active-passive configuration. 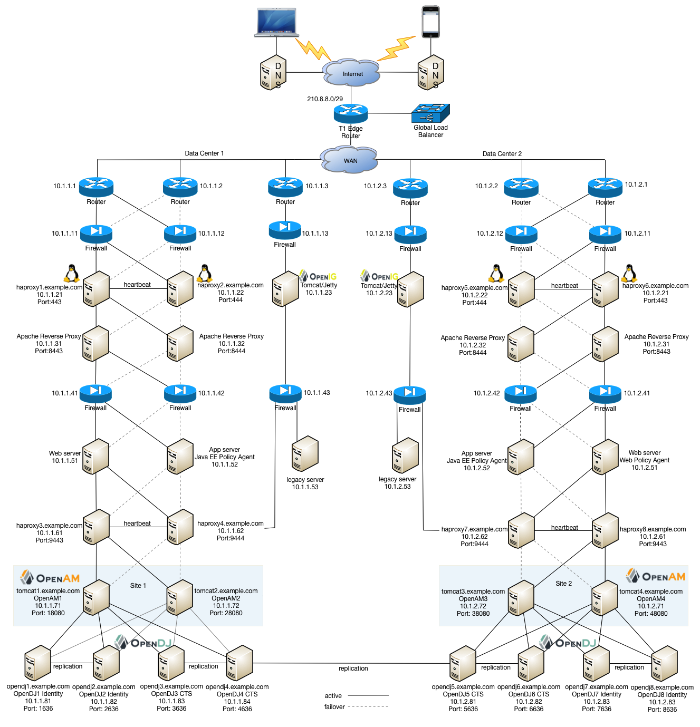 You can also use Linux Keepalived for software load balancing or one of the many other solutions available. The Web and application servers have the Web policy agent and Java EE policy agent installed on each server respectively. AM is deployed on Tomcat hosted on a Linux server. Within each datacenter, the AM servers are configured as sites for failover and stateful session high availability. This section considers disk storage requirements for AM server, AM policy agents, and Identity Gateway. You can configure policy agents to perform local logging to files, or to send log messages to AM for remote logging. For details, see the Configuration Reference for your policy agent. Debug messages are logged to local files, however, not remotely. Debug logging volume depends on log level. As for AM, leave a margin in production environments so that you can turn up debug log levels to diagnose problems. AM core services require a minimum JVM heap size of 1 GB and, when running on JDK 7, a minimum permanent generation size of 256 MB. If you are including the embedded DS server, AM requires at least a 2 GB heap, as 50% of that space is allocated to DS. The following sections list software requirements for deploying AM server and policy agent software. Obtain the AM Software. The ForgeRock BackStage website hosts downloadable versions of AM, including a .zip file with all of the AM components, the .war file, AM tools, the configurator, policy agents, $ig.abbr}, and documentation. Verify that you review the Software License and Subscription Agreement presented before you download AM files. Prepare the Policy Agent Profiles. Prepare the policy agent profile, agent authenticator, policy agent configuration, bootstrap configuration for a Java EE or Web policy agent. For more information, see Creating Agent Profiles in the ForgeRock Access Management Java EE Policy Agent Guide or Creating Agent Profiles in the ForgeRock Access Management Web Policy Agent Guide. Install the Policy Agents. Install the policy agents depending on the app server or Web server type. For app servers, Apache Tomcat, JBoss, Jetty, Oracle WebLogic, IBM WebSphere. For Web servers, Apache , Microsoft IIS. Set up any script installations of the policy agents. For more information, see the AM Web Policy Agent documentation. Upgrade AM. Upgrade AM and other instances with or without the AM console. Upgrade the setup tools (configurator), configuration tools (ssoadm, ampassword, amverifyarchive), and the Java EE and/or Web policy agents. Upgrade IG. For more information on upgrades, see the Upgrade Guide. Remove AM. If required, remove AM with or without the AM console. Remove setup and configuration tools. Remove the Java EE and/or Web policy agents. Remove IG. For more information on removing AM, see "Removing Installations" in the Installation Guide.